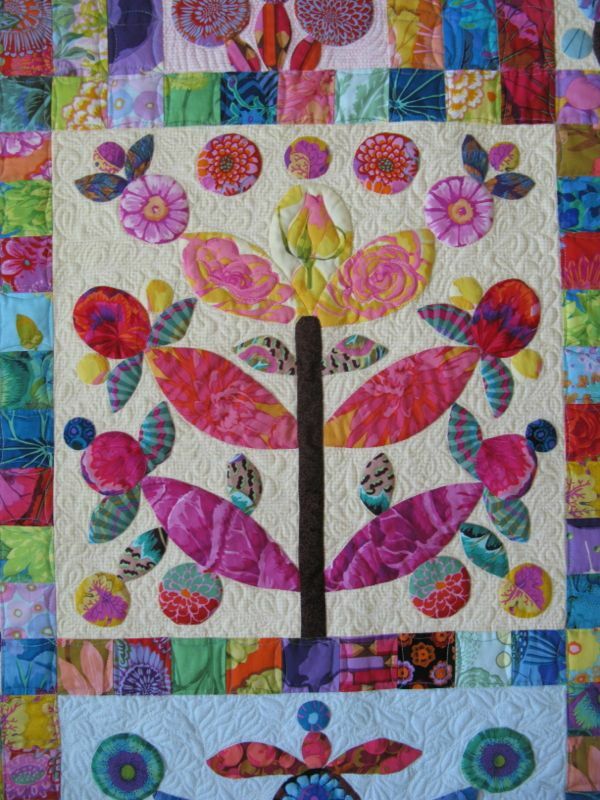 Elizabeth’s Lollypop Trees Quilt | OccasionalPiece--Quilt! 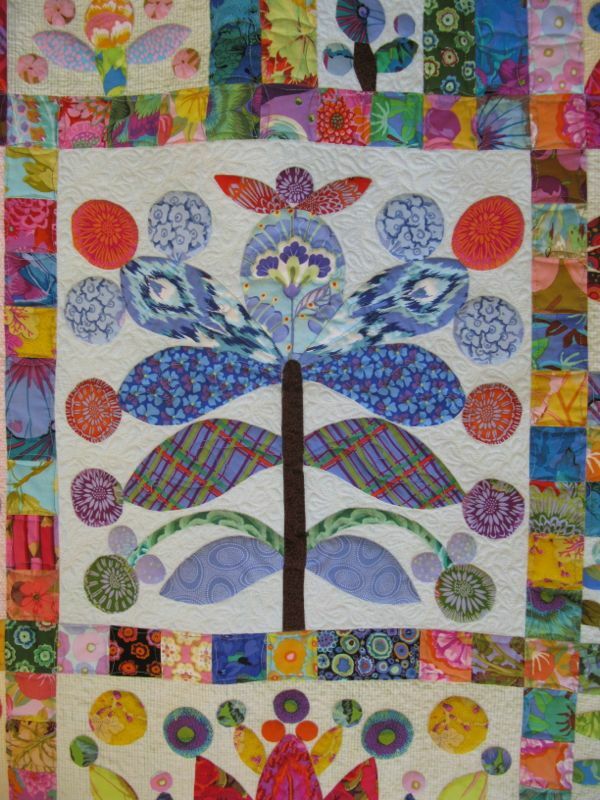 This is a page about Elizabeth’s Lollypop Trees, a Kim McLean quilt pattern. I’ve tagged all the entries Lollypop Trees; type that into the Search Box at the right, if you want to “gather” up all the posts and read through them in one sitting. 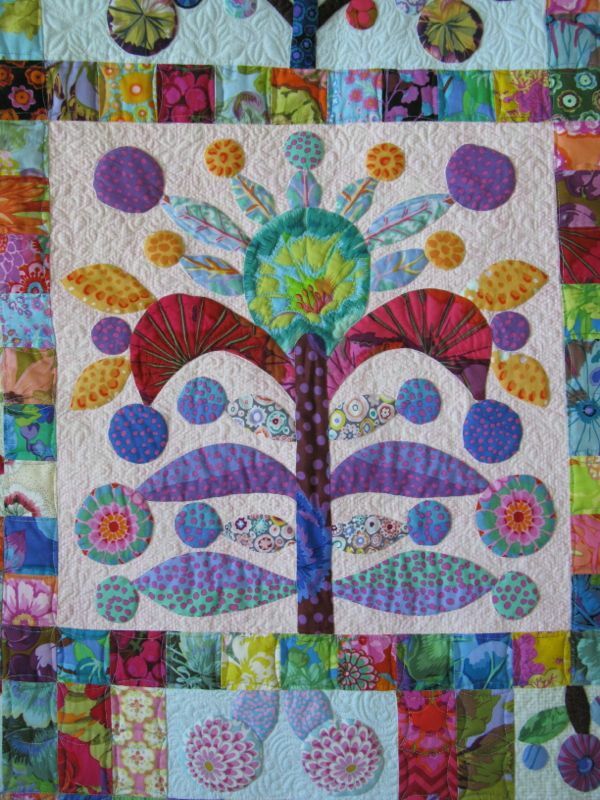 I’ve left this page here as I used to search the web for ideas for color and quilting when I was making it, and think having this as a resource might be helpful. 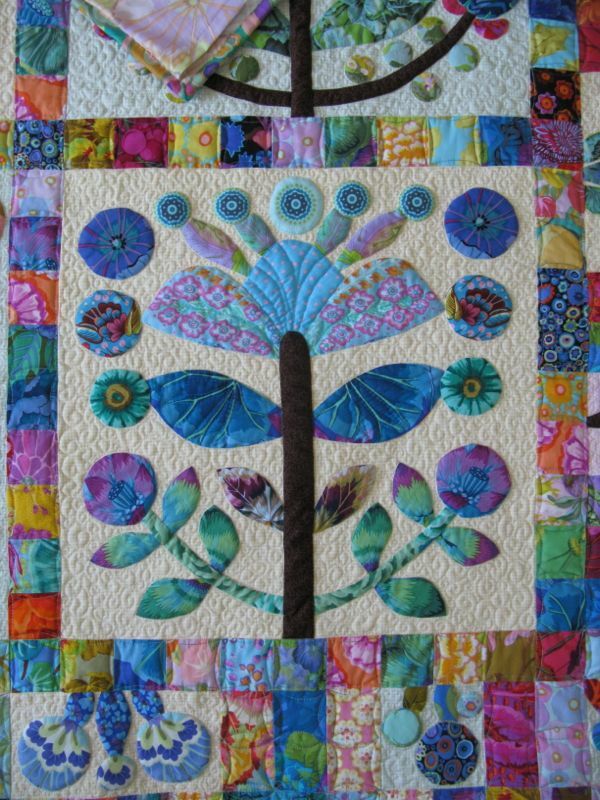 At the end of this page, you’ll find the completed quilt and individual shots of the finished blocks, showing the free-motion quilting. 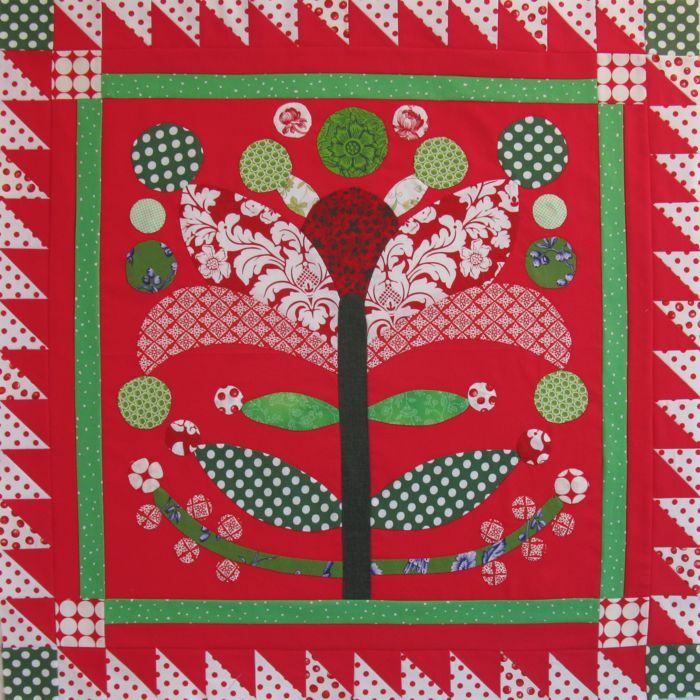 Green checked background, various Kaffe Fassett Prints. This one is on pink-checkered fabric. Yellow checkered background. Total Circles Count: 75. 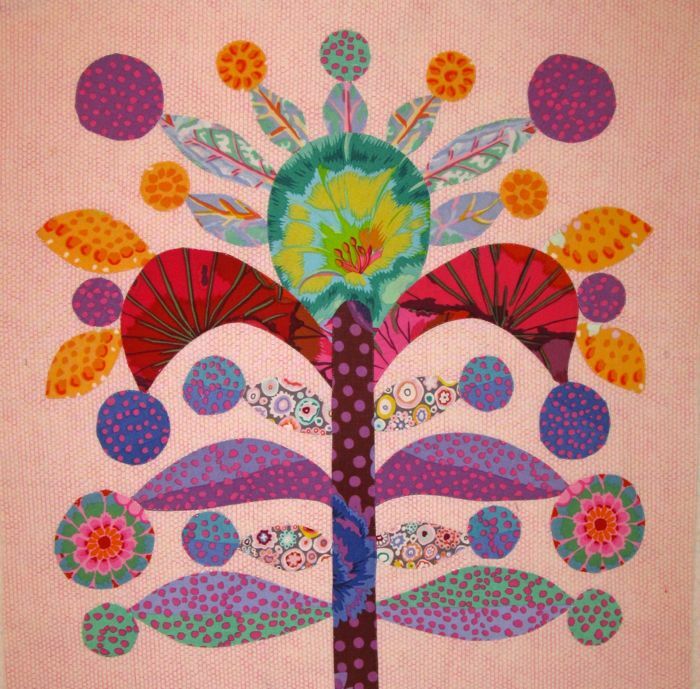 I’ve designed my own version of a Lollypop Block, based on the earlier 1880s design, and teach it in a class. This is the Christmas version with a sawtooth border. 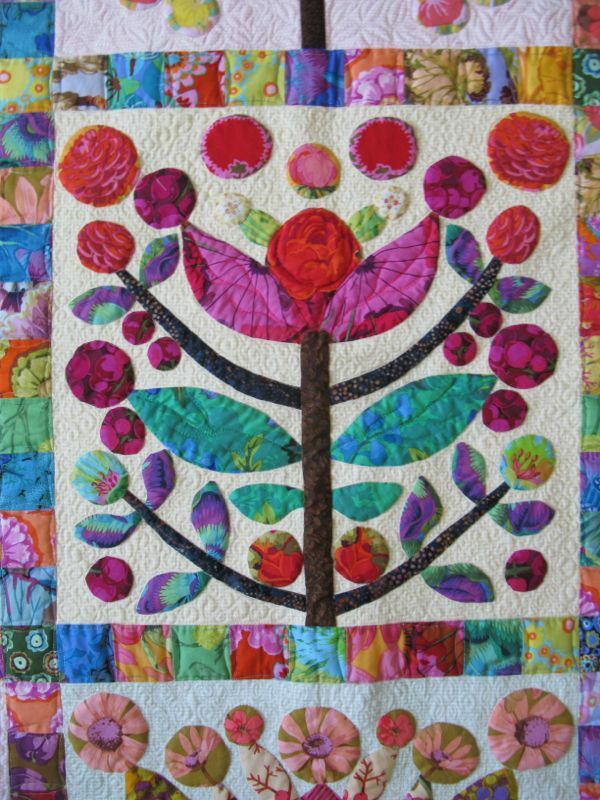 This version is a plain 20″ block, and could make a great pillow top. 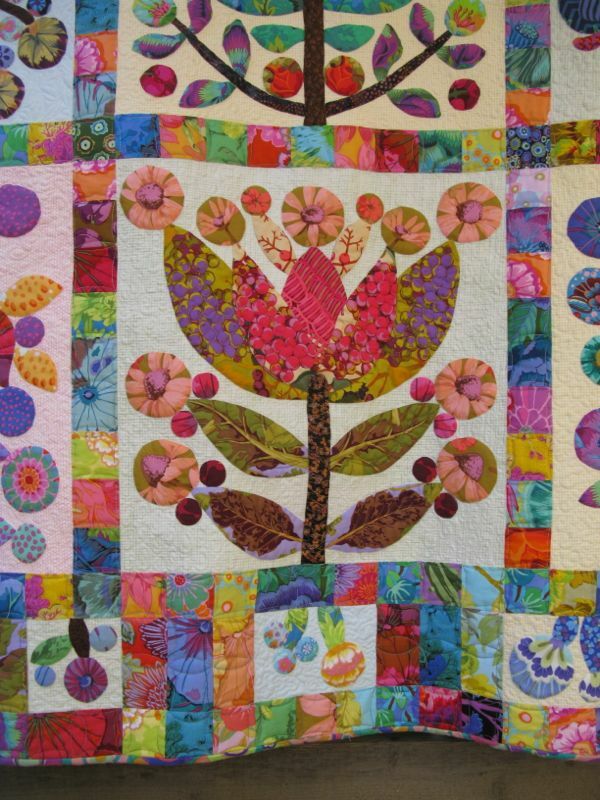 FINISHED BLOCKS, in no particular order (showing quilting). 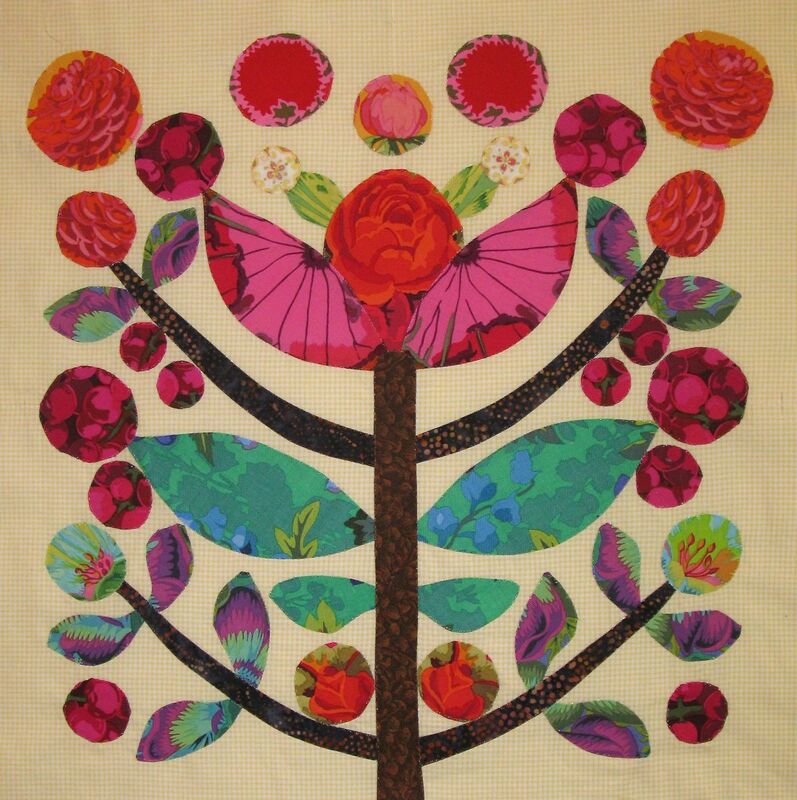 I’m also making the Lollipop trees quilt- it’s great to see the fabric choices others are making with this. 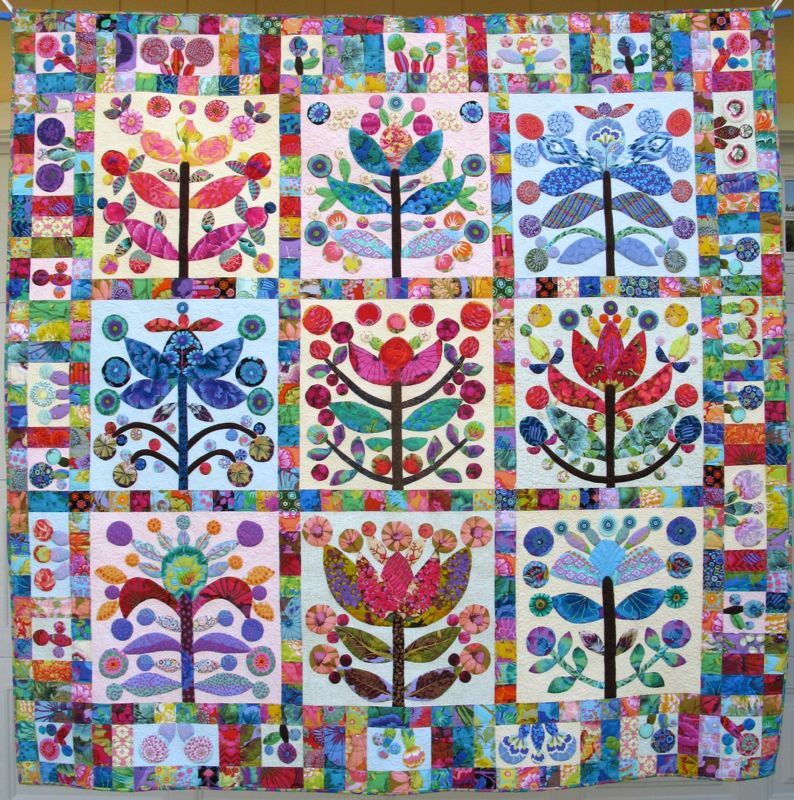 Lovely blocks! 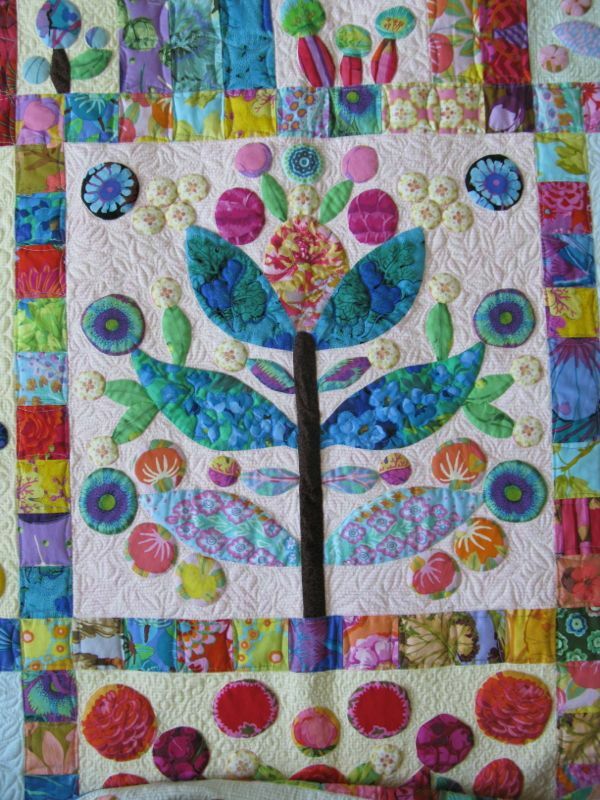 When you were sewing each block did you use a hoop or what did you use when you aplique such a big block. 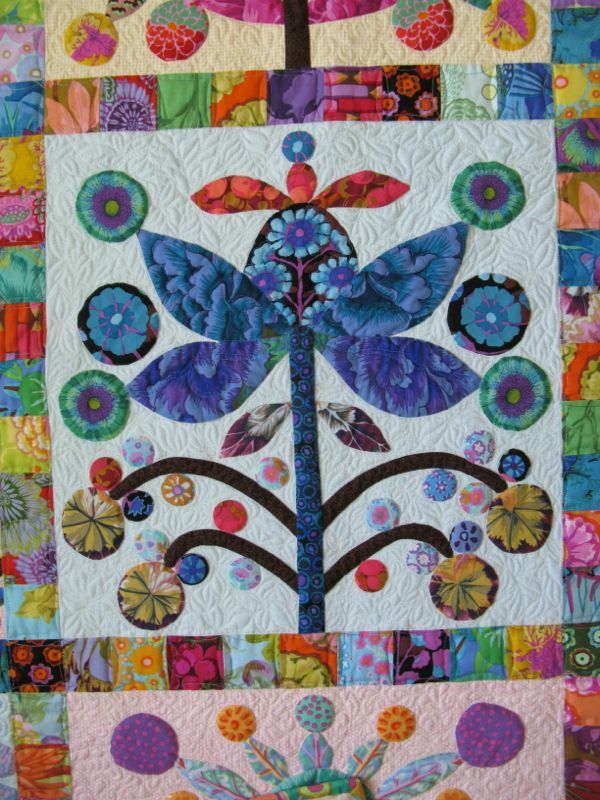 I’m having trouble finding the right hoop to use because the block is so big or did you machine applique the blocks. Anyhelp would be appreciated. 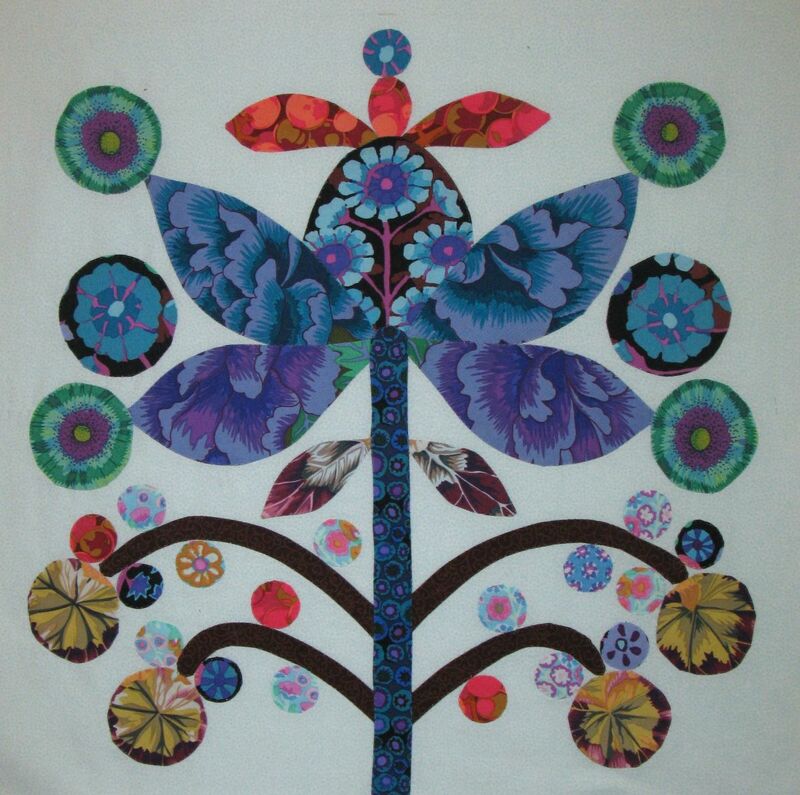 I am going to make this one. 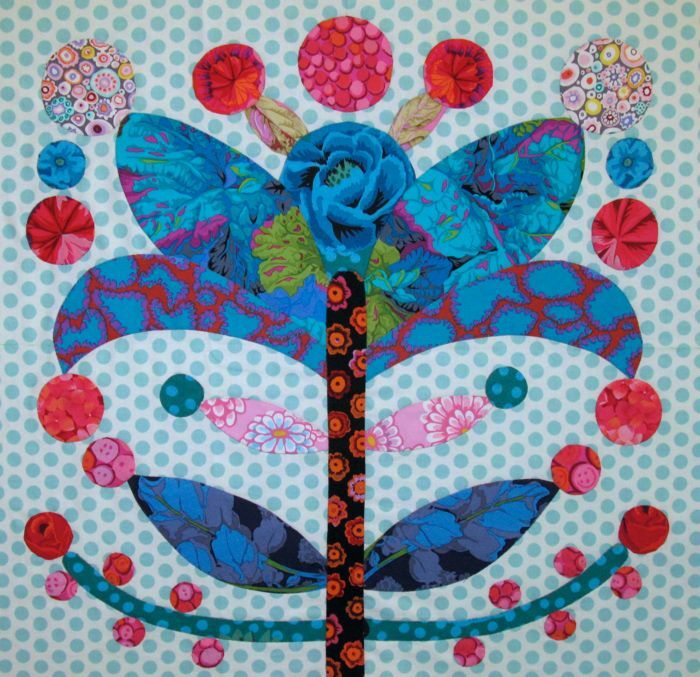 I have all my Kaffe fabrics collected, now to purchase the pattern and background. I love seeing how you did your backgrounds. Makes me think I can use what I have already. Thank you for sharing. Now I just need to find somewhere to purchase the pattern. 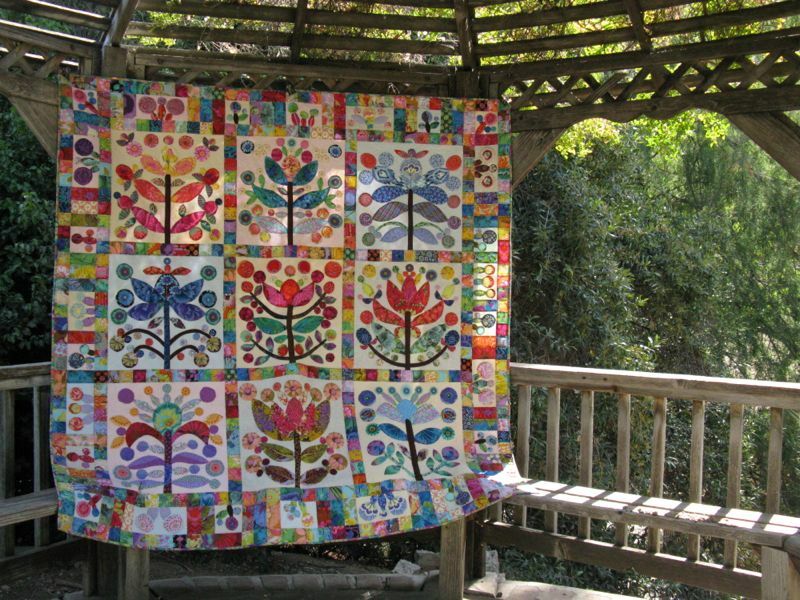 Do you ever sell your quilts? Do you take commissions? 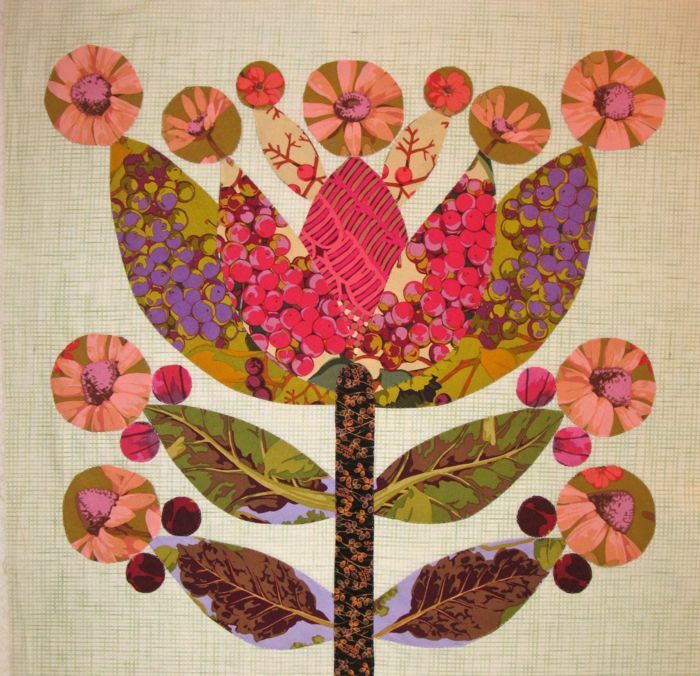 Right now I am looking for a really beautiful table runner that I have envisioned in my head. Your stuff is beautiful. I have just discovered your blog. I really appreciate your encouragement for stimulating creativity. 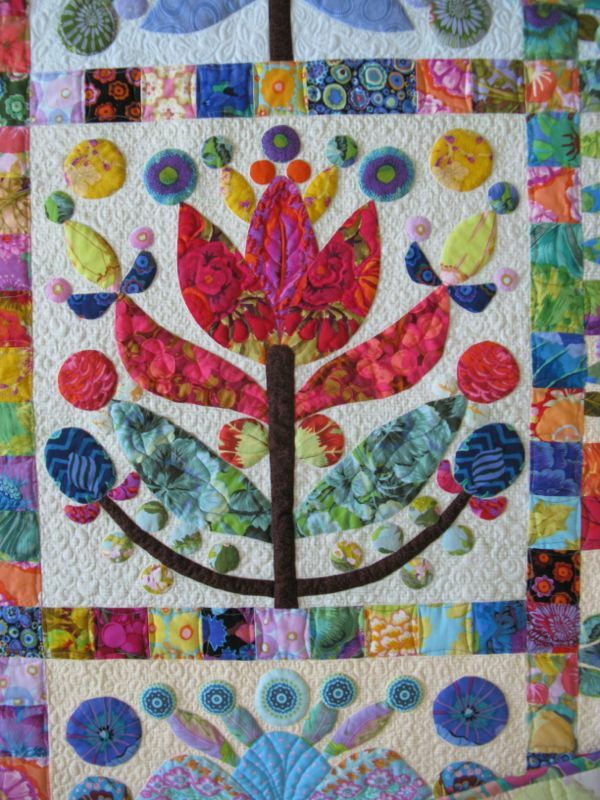 This Lollupop quilt is stunning! 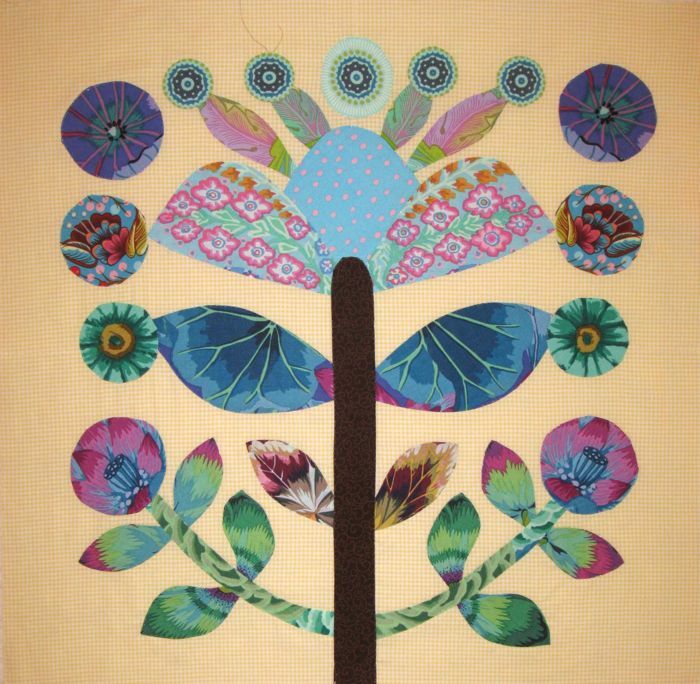 The colors and patterns are so exciting! 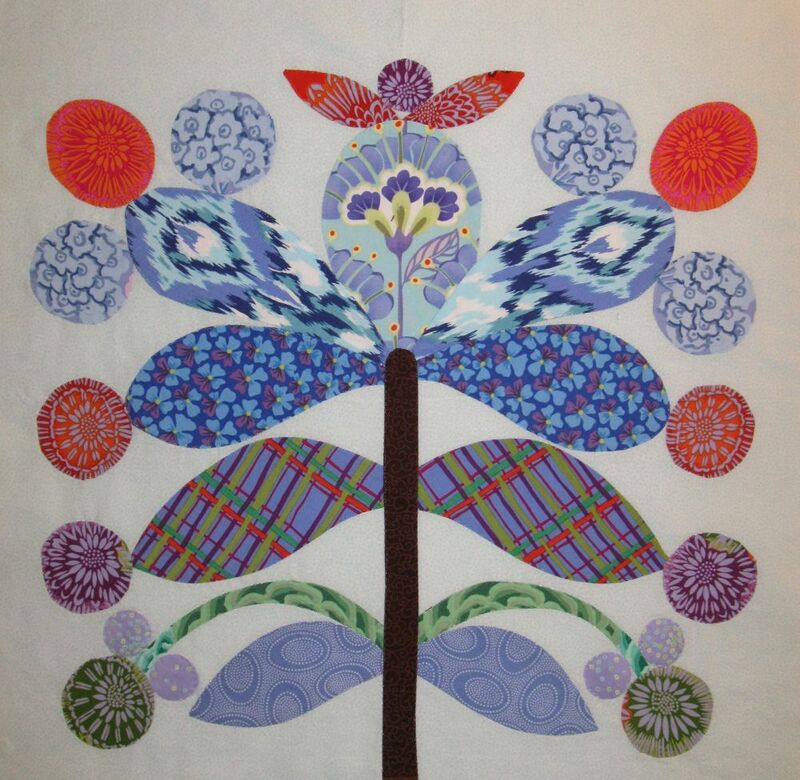 Pingback: A Few Thoughts on A Year of Making Frivols | OccasionalPiece--Quilt!